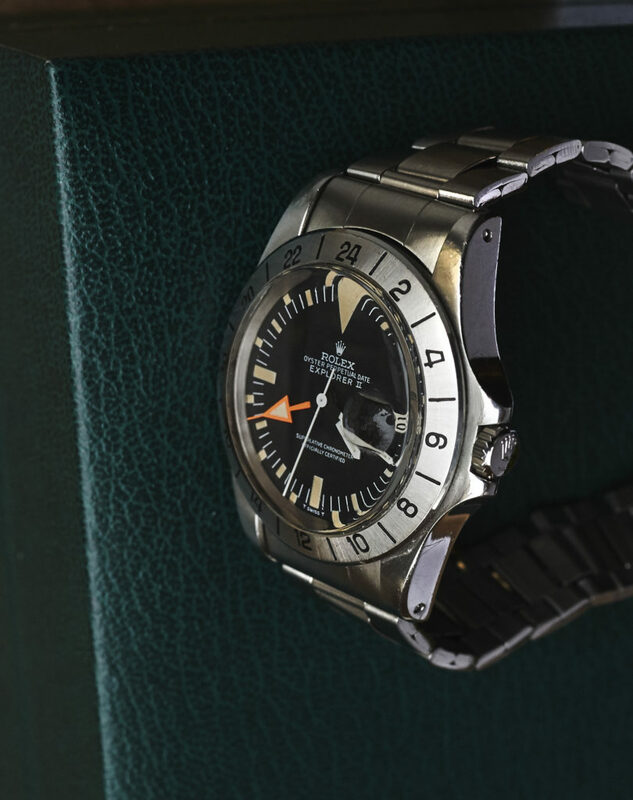 Outstanding collectorswatch. 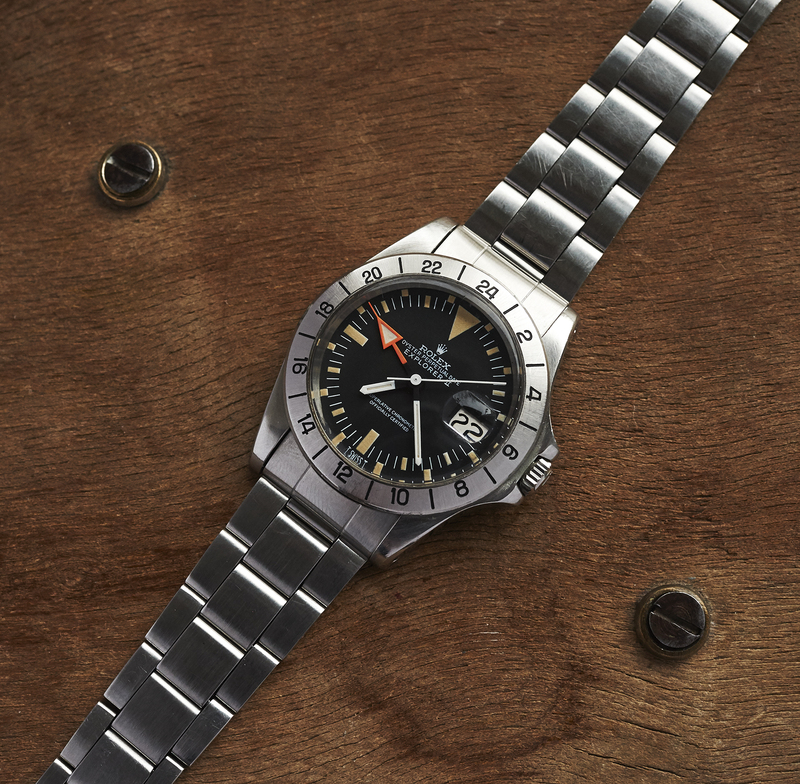 Only the 1655 MK1 has a bezel on which the numbers are placed closer to the plexi and and not in the middle of the bezel. 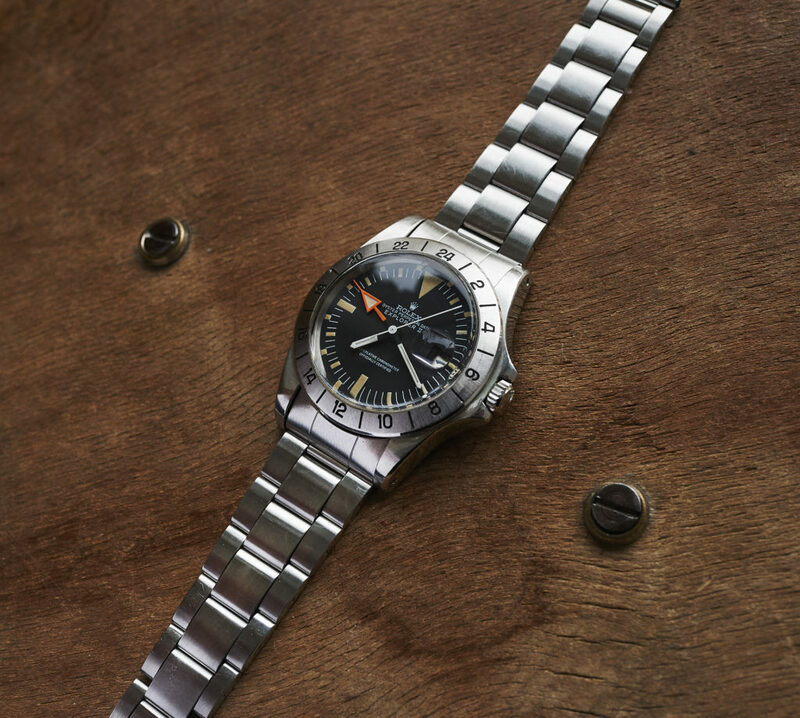 If you ever came across such an early Explorer 2, you can be sure that in the very most cases the bezel is either in a poor or in a freshly polished condition. This piece here is entirely unpolished and in awesome condition. 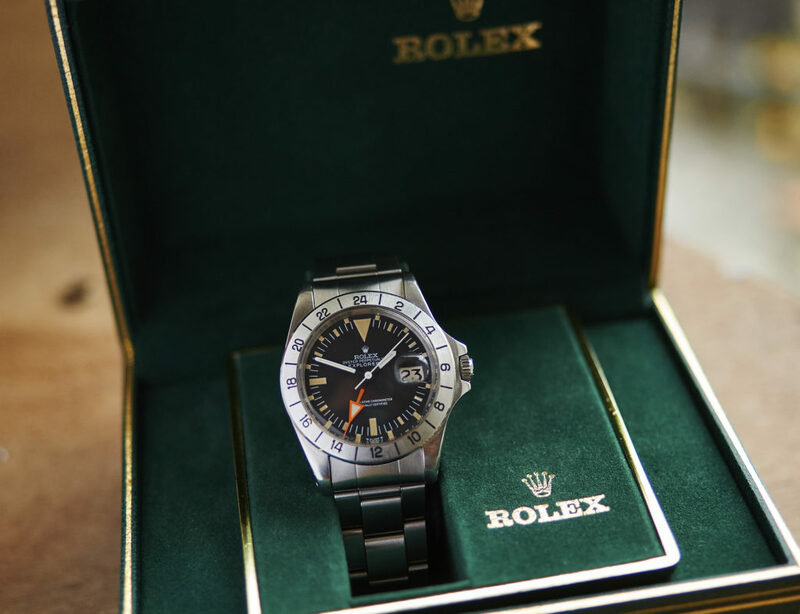 And the whole rest of this watch is matching that qualitylevel. 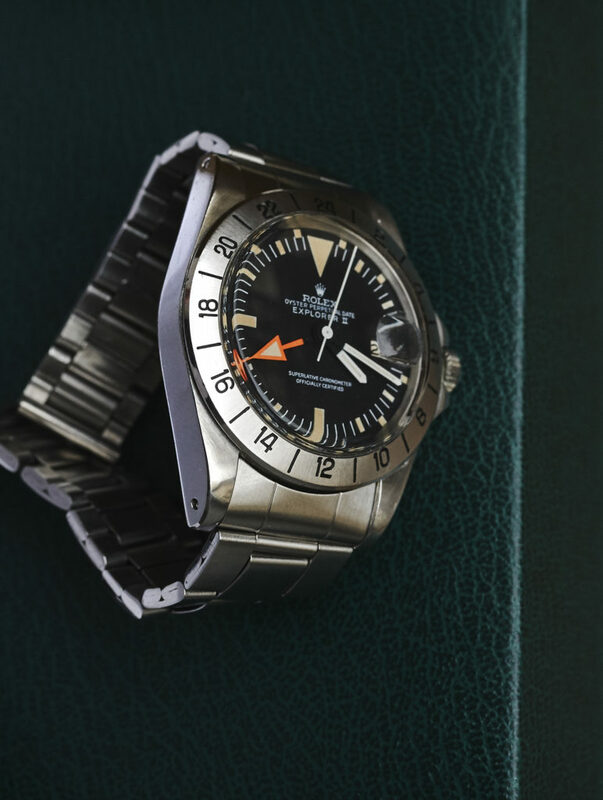 The tritium dial is flawless, as well as the colourmatching tritium handset is. 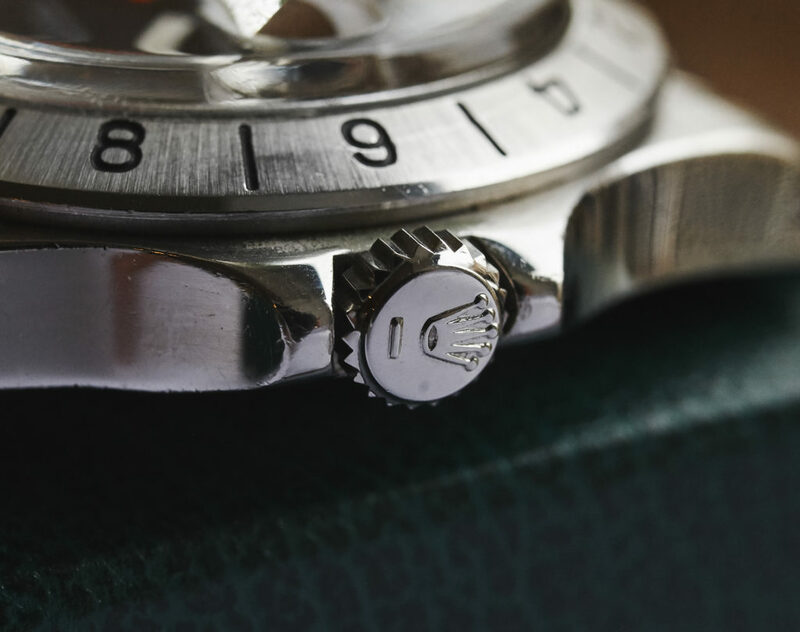 The case is still in full original shape with beautiful sharp bevels, unpolished numbers and every edge appearing that you want to see on a collectors Rolex. 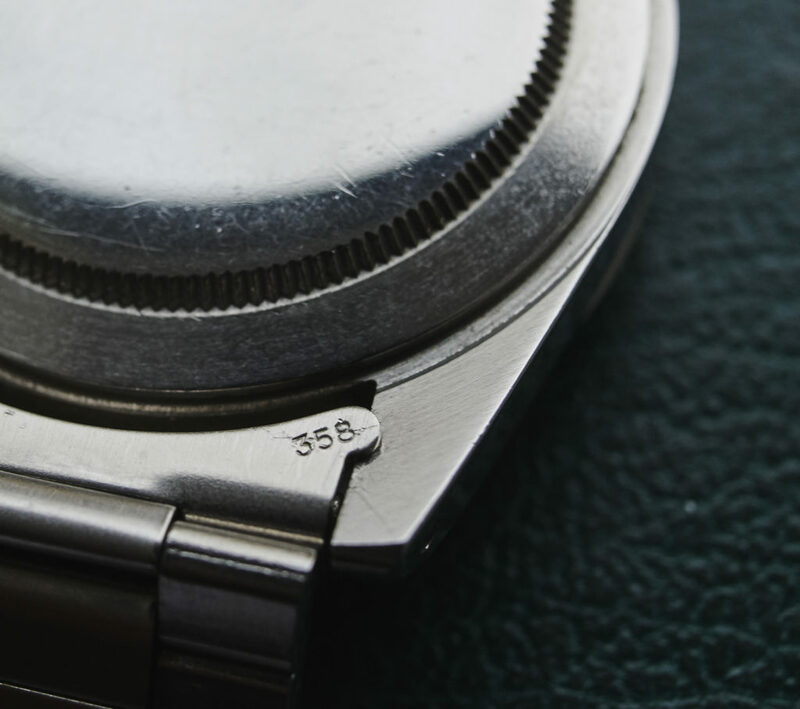 The caseback is signed 2/72 and fits perfectly to the serialnumber of 302xxxx. 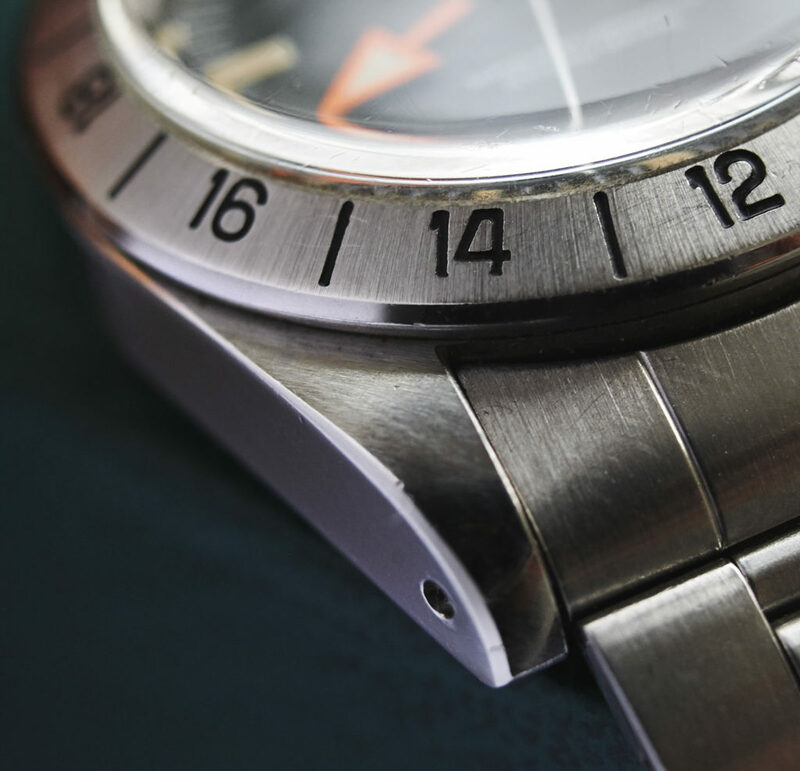 The datewheel has the open sixes and the movement is running exactly and strong and is in a minty condition as well. 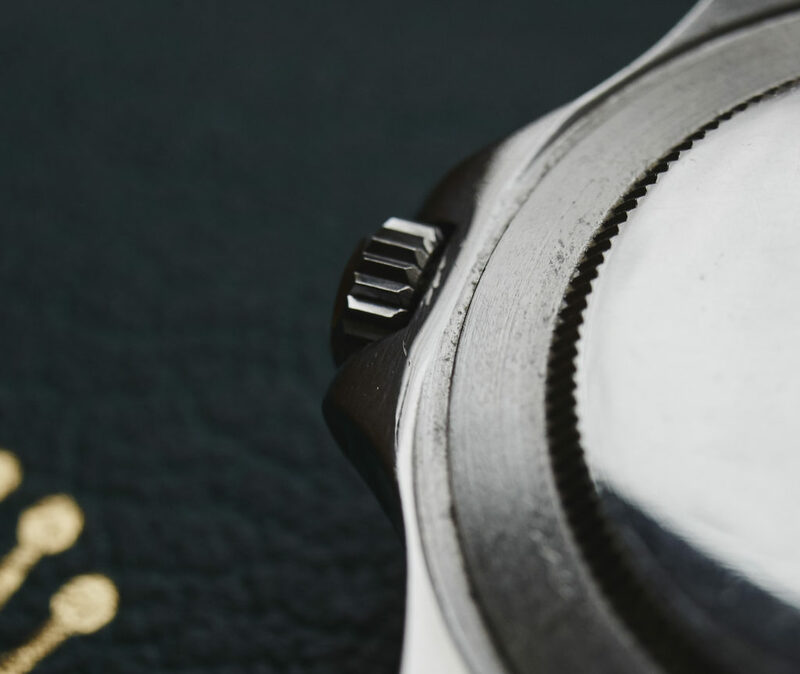 The piece comes on a folded 7836 bracelet with 358 endlinks which fits to the time and on the watch but was correctly used for DJ´s. 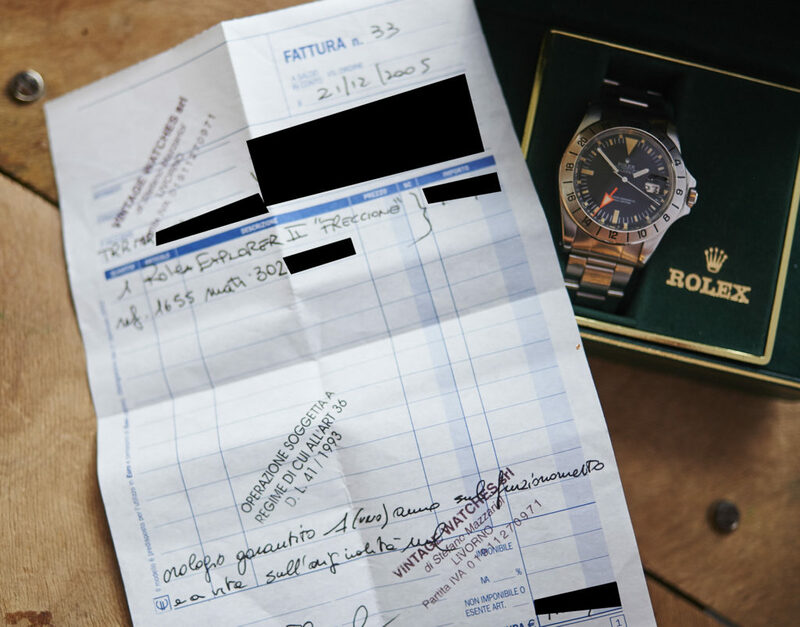 The set also contains a box for the american market and the invoice from the dealer and Rolex expert S. Mazzariol who allready sold that watch in 2005. 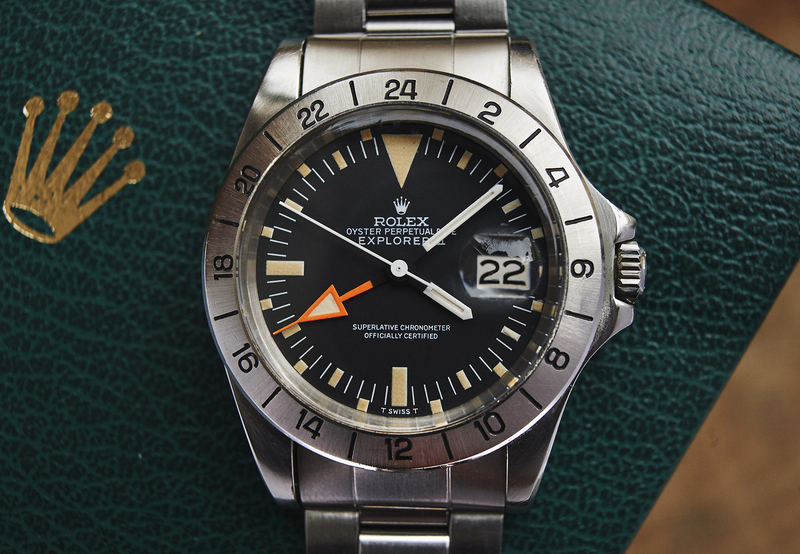 If you were ever searching for a 1655 Mk1, then this is the one.